The Skinny from DAVIDs Tea. . . . If you like a mildly spicy sheng flavor, and would like to drop a few pounds, I have just the thing for you: “The Skinny” by David’s Tea. Actually, I can’t promise the weight loss thing. That’s a combination of diet, exercise, metabolism, and genetics. I know the water thing is sound. It’s basically the first thing every weight loss article ever written says. However, you can pry the Diet Coke from my cold, dead hands. 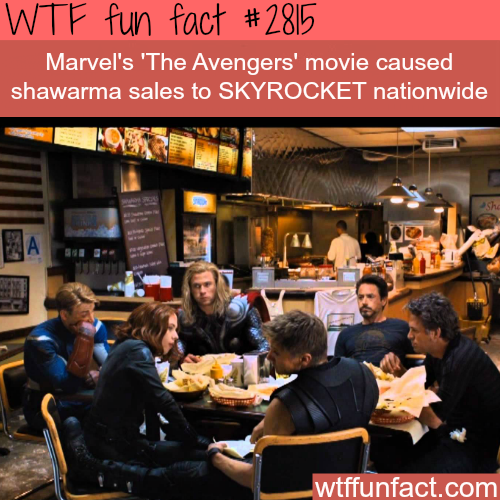 Speaking of shawarma… did you know? I needed to pair the tea with this lunch because there was a LOT OF CHEESE on that pita. I wonder if the tea will really block fat absorption. We’ll have to see what my weekly weigh-in says next Wednesday morning. In the meantime, though, regardless of whether this makes me “skinny,” it was a pretty good sip. Give it a whirl! With pu’erh, ginger, eleuthero and oolong, it’s the ultimate digestive aid. Aphrodite from Fox Tea Club. . .
Coconut Flan Genmaicha from 52Teas. . . .